Franks, Anstiss and more: which PR pros got New Year's Honours (and what for)? 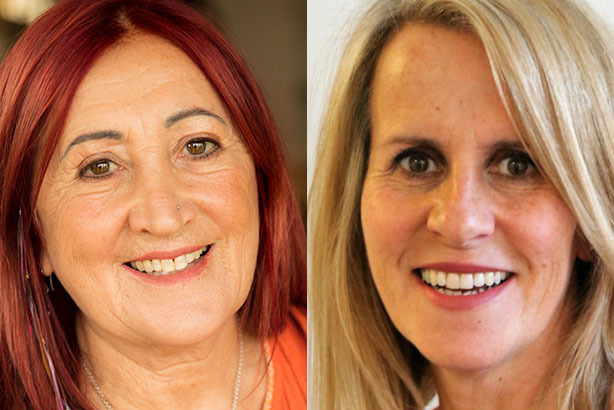 PR veteran Lynne Franks and Sue Anstiss, founder of Promote PR, are among comms professionals recognised as part of the 1,123-strong New Year's Honours list. Lynne Franks was made an OBE For services to business, fashion and women's empowerment. Franks was the biggest name in the UK PR industry in the 1980s, before leaving her eponymous agency in 1992 and setting up Seed, an organisation designed to promote women in business. The agency's name changed in 1997 to Life PR. She is also known as the apparent inspiration for Ab Fab, a dubious accolade that she has made peace with in recent years. Now a women's rights activist, writer, consultant and entrepreneur who has also campaigned around HIV/AIDs and environmental issues, she is no longer active in the PR industry but told PRWeek: "Knowing how to communicate and engage people and the general public has been my career since I was 19, 20 years old - without doubt my 20 years in an agency have stood me in very good stead to do work around causes I care about." Really thrilled to receive OBE today for work with women and social change. 2018 - The Year of the Woman!! Sue Anstiss, the CEO of sports-focused Berkshire agency Promote PR, was given an MBE for services to grassroots and women's sport. The agency said that Promote, which Anstiss founded in 1994, donates 10 per cent of its time to charitable causes each year. Anstiss herself is currently chair of Get Berkshire Active, a founding trustee of the Women's Sport Trust and a non-exectuvie of the County Sport Partnership Network. Tim Lovett, a previous director of public affairs for the British Beekeepers Association, was awarded an MBE for services to the beekeeping industry. Paul Clabburn, a freelance comms adviser and member of the London Veterans Advisory and Pensions Committee, is awarded the British Empire Medal (BEM) for services to veterans and to awareness of cardiac risk. Adrian Bull, director of external relations at the Government-backed National Nuclear Laboratory since 2012, was made an MBE for services to the development of public understanding in nuclear research. Sabrina Francis, social media officer at City, University of London, was given the British Empire Medal (BEM) for services to the university. Francis was the first person to fill that role when she joined in 2011, according to the university, which notes that she also co-chairs a women's network at the institution and is a local councillor. David Thompson, head of the First World War and ceremonials team at the Department for Digital Culture, Media and Sport, was made an OBE. Among other projects, the department helped fund a moving live outdoor memorial, which took the public by surprise in July of last year. Another piece of public sector work recognised was the tourism and business campaign GREAT Britain. William Ward, co-founder of the Clipper Round the World Yacht Race, and an ambassador to the campaign, was made an OBE for his services to it and to the economy. Finally, the musician Marc Almond was made an OBE for services to arts and culture - in his citation, he is listed as a singer-songwriter, musician - and a campaigner. Read next: Who made the 2017 New Year's Honours list?